Please enjoy this resource, and feel free to share it widely. The BTP Delegation Map & Directory marks the location of every heirloom apple tree planted as part of the Boston Tree Party, and provides information about all the organizations who planted with us. 54 Delegations, consisting of 72 communities, planted a total of 108 trees. 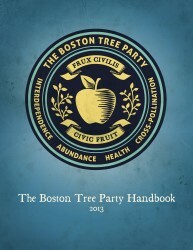 We hope this will be a useful resource for everyone involved in or interested in the Boston Tree Party. Delegations can find other Delegations nearby, or in similar sectors, to facilitate the cross-organizational interactions we’re hoping to create – let’s grow that civic fruit! The general public can use this as a resource to find BTP trees that are open to the public (please note that not all trees are open to the public, this is noted on the map). Note the map is open to public editing. Please help us keep the map up-to-date by updating information as it changes. And please respect the integrity of the map by only editing information that needs to be adjusted. Thanks! The event started with some mingling as attendees arrived, then everyone introduced themselves – including not only their connection to the Boston Tree Party but also all the “hats” that our busy and engaged Delegates wear! We then started building on these many community / organization connections with “speed dating” conversations. 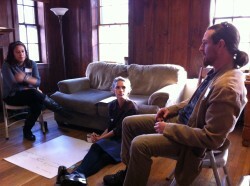 In just a short time many bridges were built among our attendees, and hopefully more will be built through follow-ups! 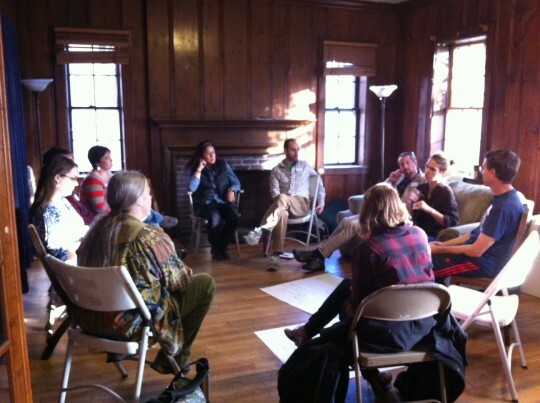 As you can see, we encouraged the topics to be much broader than the specifics of the Tree Party – an example of how we hope the BTP network will be used to grow all kinds of Civic Fruit. The Convention attendees then came together in small groups to discuss these questions – and lots of great solutions came out of our conversations! The afternoon concluded with a short State of the Party round-up, a presentation of the Delegation Handbook and Delegation Map & Directory we have been busily creating this summer and fall [stay tuned for more info on both these great resources! 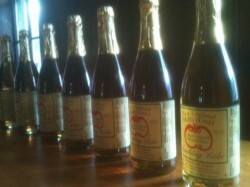 ], and a delicious apple tasting with lots of varieties of apples and sparkling apple cider. A great time was had by all, and hopefully this is just the first step in building connections between all the great Delegations who are part of the Boston Tree Party. Boston Urban Forest Council: Invasives and Grants! The latest Boston Urban Forest Council meeting had both good news and bads news for tree lovers in Boston. Unfortunately, despite efforts at many levels, the Emerald Ash Borer was found in Massachusetts for the first time this month. This tiny invasive beetle, which was accidentally introduced to the US from Asia sometime in the 1990s, was found in Berkshire County in early September. 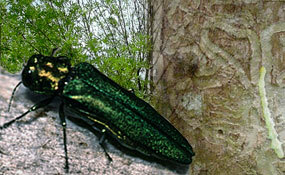 Emerald Ash Borer insect with tell-tale lines in the tree bark where the larvae have burrowed in the wood. Since it was first found in Michigan in 2002, the borers have devastated Ash tree populations in the 18 states to which it has spread. Though it is difficult to stop the beetles’ spread, because they are so small and they tend to live near the tops of trees, MA officials are urging citizens to start looking for tell-tale signs of Emerald Ash Borer infections, including decline in health of Ash trees, especially from the top down. More woodpeckers than usual at Ash trees are also a good indicator! In happier news, the Boston Urban Forest Council has been successfully continuing its campaign to increase the tree canopy cover of Boston by planting more trees, including a tree planting event at Neponset Park on September 29 as part of the Odwalla Plant A Tree Program grant won by Boston Natural Areas Network (contact info@bostonnatural.org for more details – all are welcome to come and help). The Council is also working to identify areas in the city that are good candidates for a large number of new trees, including Faneuil Gardens in Allston-Brighton and Melnea Cass Recreation Center in Roxbury. If anyone knows of any place in Boston that is a good candidate for tree plantings, please contact the Boston Urban Forest Council. Lastly, the Council is putting together its fall round of Grow Boston Greener grants for the fall. Though the process has been somewhat delayed, the Council encourages anyone interested in applying for money to plant trees to start planning and writing out an outline for an application. 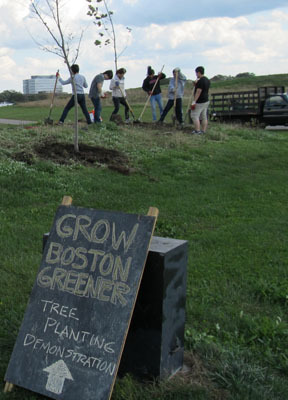 The Grow Boston Greener grants apply for fruit tree plantings as well, so if you have any interest in creating or expanding an urban orchard in Boston, consider applying for one of these wonderful grants! We are pleased to announce that the Boston Tree Party is co-sponsoring a special fruit tree care workshop with Boston Natural Areas Network. The workshop, Fruit Trees: New Orchard Maintenance, will be held in Dorchester Saturday August 25th from 10:00 to 11:30am. This workshop will be an excellent opportunity for anyone who has recently planted fruit trees to learn about how to care for and maintain them for the long term. This informative program will illustrate the training, pest control, pruning, soil building, and fertilization techniques required to grow healthy trees and delicious fruit. We especially recommend that all of our Delegations send at least one representative to this workshop, as it is the perfect time to learn all about tree care basics in the best way possible: in person, from experts. 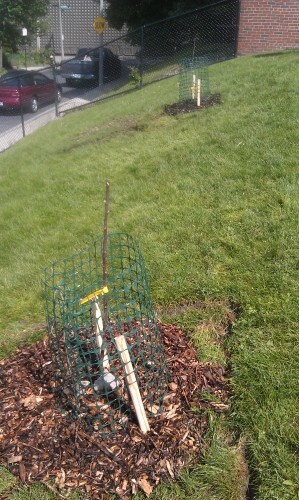 Getting a good foundation in tree care now will ensure the most fruitful trees possible far into the future. Please register for this event by calling 617-542-7696 or emailing info@bostonnatural.org. Register asap to ensure a spot in this can’t-miss event! Saturday, August 25, 10:00 – 11:30 a.m.